PSA and Opel engineers work in harmony, Tavares says. PARIS -- PSA CEO Carlos Tavares offered a robust justification for a potential deal to buy GM's Opel/Vauxhall business, saying his company has the track record and expertise to turn around GM's European operations, which has continued to lose hundreds of millions of dollars a year for its U.S. parent. 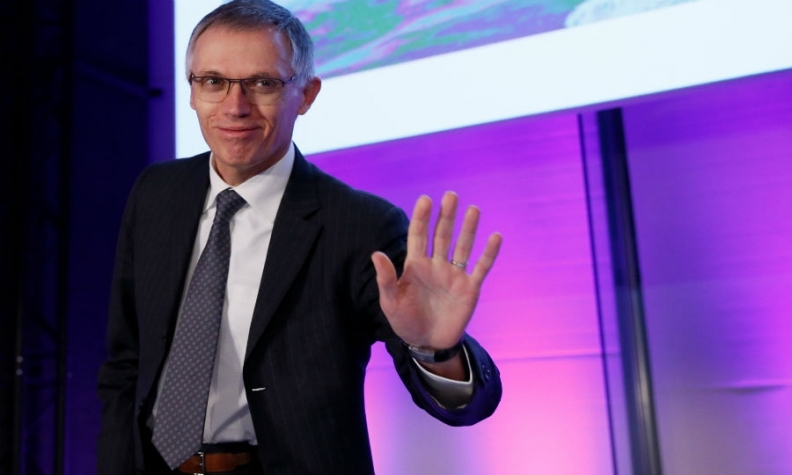 Tavares' audience of analysts and journalists at PSA headquarters here sat patiently through the automaker's 2016 financial results presentation, but it was clear from the first question that it was PSA's future, not its immediate past, that was the main draw. By turns blunt and accommodating, Tavares defended an agreement that some have speculated could result in job cuts and plant closings, while also creating Europe's second-largest automaker. Asked whether a deal for Opel would change PSA's strategy of organic growth, and how he convinced PSA's supervisory board that it would create value, Tavares said that "of course" it was a question he was expecting. "In a friendly, respectful and humble way, I don't think we change anything in our strategy," he said. Over the past three years, he said, PSA had put itself in a position to consider strategic acquisitions; beyond Opel, the company has bid for the Malaysian carmaker Proton and purchased the Ambassador nameplate in India. "We always said that as soon as we were in good health, we would tackle strategic opportunities," he said, "but we intend to be looking at those opportunities as a 'nice to have' and not a 'must.'" PSA's opportunity with Opel, he said, "is very simple, and I will make sure you understand it well." "If you look at it from the Opel perspective, this company needs help," Tavares said. "Making red ink for 10 years and burning 1 billion euros of cash every year is not going to last forever." So why does PSA see an opportunity to create value in Opel? Tavares offered the image of a "European car champion resulting from the combination of a French company and a German company, without forgetting, of course, our UK friends at the Vauxhall brand." Such a company, he said, would offer complementary products, because in "some markets you have customers who, despite the progress that we have done, do not consider French brands. We make think it's unfair; it's just a reality." To capture those customers, he said, PSA would strive to keep Opel recognizably German, with German engineering, "and that’s of course something that Opel is ready to listen to." The meat of the value creation, for shareholders and investors, would come from quickly implementing synergies such as shared technology and purchasing power. Looking ahead several years, Tavares said such a joint company would have the capacity to sell more than 5 million cars annually, "with a profitability very close to the level of the PSA Group." "So this is our vision," he added, "and of course many of you will challenge this -- and we're absolutely excited by your challenge." In response to another question, Tavares rejected the idea that PSA would micromanage a comeback effort for Opel. "The turnaround plan for Opel will be built by the Opel executives, the Opel people -- it is going to be their plan." "We'll create the conditions for the plan to be built," he added. "I trust that with the appropriate guidance, the appropriate support, the appropriate benchmarks, there is no reason they can't do a good job." Tavares spoke plainly when asked if he had promised anything in return for support from the British, French or German governments. "We are not in this give and take kind of negotiation process that your question was understating," he said. "I apologize for being so plain, but we are just trying to help." After taking a final question, about whether German engineers would accept Opel cars migrating to French-developed platforms, Tavares sketched out a vision of a harmonious melding of two engineering cultures. Noting that Opel and PSA had jointly developed three cars under a 2012 agreement, he said, "Over the last three years, there was never a problem in the development of these three cars that came to my level. Never." This is not about choosing the technology of one company against the other company," Tavares added. "This is about GM technology moving away and being replaced by another technology, the PSA one." "At the end of the day," Tavares concluded, "what is striking is that if you step back, take a breath, everybody has an interest in making this deal work."